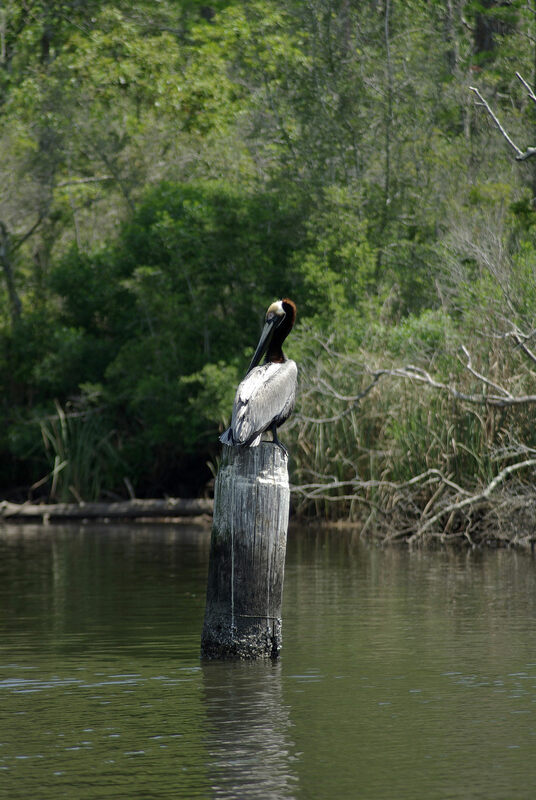 A brown pelican roosting atop a post in Weeks Bay National Estuarine Research Reserve in Alabama. Habitats in this reserve support numerous rare and endangered species including the eastern indigo snake and the Alabama red-bellied turtle. Credit: Weeks Bay National Estuarine Research Reserve.